Join the connected generation movement creating the future of media! Venture capital company IPR.VC and Tubecon's existing shareholders have committed to subscribing €112,500 worth of shares. This commitment has been entered in the progress bar. If the offering receives share subscriptions for at least €487,501, the owners' subscriptions will not be made. 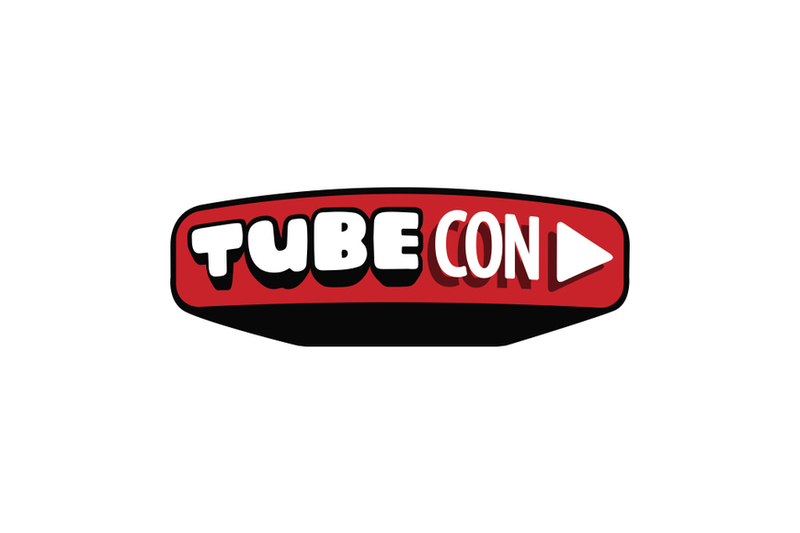 Tubecon provides a unique meeting point for digital video creators and their fans. 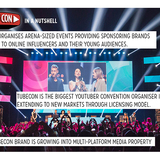 Tubecon is the biggest YouTuber and online video event organiser in the Nordics scaling up to a pan-European event network and multi-platform intellectual media property. The stars, styles, and different ways to express in pop culture will rise and fade, but the fandom, the need for belonging and to gather at events stays. The rise of YouTubers and the social media stars has continued since the emergence of YouTube in 2006. Today YouTube is the most watched global media among teenagers, and the biggest online creators are confirmed to be the most influencial celebrities among the youth audience both internationally and in Finland. The trend in the Nordics follows the international growth, e.g. many of the Finnish top creators have doubled their audience annually reaching currently hundreds of thousands of followers. The business around the phenomena is in accelerating growth. Nordic multichannel networks (MCNs) representing the creators and monetising the video channels have doubled their turnovers annually during the past three years. Internationally the online video industry is a booming market. The top 100 MCNs are estimated to be worth over US$10 billion, with the YouTube channel business in total valued over $20 billion. How to stay relevant and engaged with the Youth? The audience of people in their 20s and younger has disappeared from the reach of television and print media. Brands and media houses are constantly seeking access to the connected generation and their stars in the social media. Many opportunistic investments and projects in this space are failing due to lack of insight on the digital platform ecosystem and the cultural nuances of the community-driven interactive audiences. Tubecon provides a turnkey solution combining major public events and community-driven social media engagement attracting the youth. Our platform-neutral events invite everyone from the industry to grow together, no matter which network they belong. As a connector, we believe in co-creative method and working together in close cooperation with the creators. 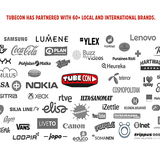 Tubecon facilitates the creators applying their creativity to all aspects of the Tubecon activities, including the inclusion of brands and partners to work seamlessly with their content. So far Tubecon has collaborated with 60+ local and global sponosors cultivating multi-year relationships with several returning sponsors. For many of our clients, Tubecon has been the final eye-opener and learning environment to master the rapidly transforming youth media market. The geographical extension has created an opportunity to start creating territorial sponsor deals. In May 2017 Tubecon and HMD announced the first pan-territory sponsor partnership for Nokia smart phones, covering 2017 Tubecon events throughout the Nordics (Finland, Sweden, Norway and Denmark). Tubecon is currently in negotiations with several global brands interested in similar territorial deals in Nordics, Baltics and German speaking Europe. In 2014 group of young Finnish YouTubers approached the Tubecon founders with a wish to co-organise public event giving stars the opportunity to meet their teenage fans. 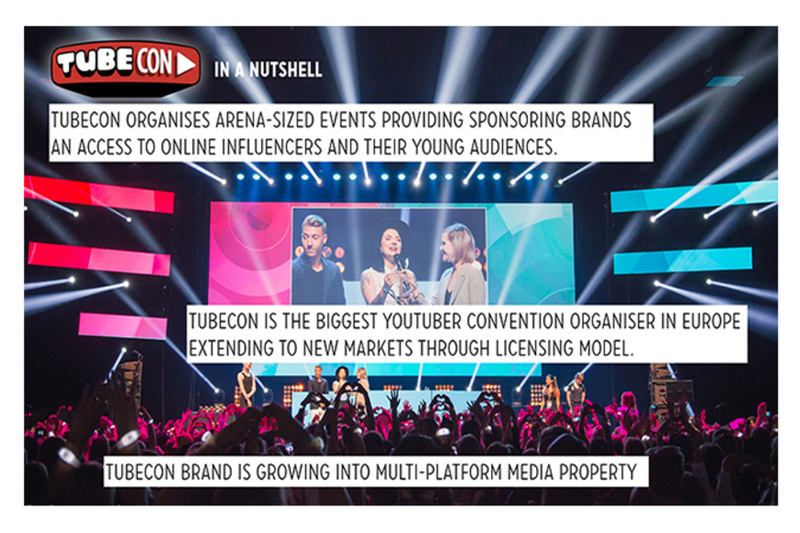 The succesful first Tubecon convention event with 5,000 visitors led to 100% year-on-year audience growth in 2014 - 2016. 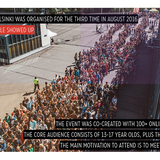 The third and latest Tubecon Helsinki in August 2016 gathered 19,000 visitors with a core audience of 13-15-year-old boys and girls and their parents. Tubecon events have been profitable since the beginning and Tubecon has been able to give back to the community keeping the creators and their agencies as active partners. In 2015 Tubecon was approached by organisers of a Swedish youth fair with a request to produce a local Tubecon in Sweden. Tubecon created a licensing model and applied the community work methods uniting the Swedish creators successfully behind the Swedish events. The ongoing successful extension of Tubecon Sweden has provided key insights about Tubecon as a travelling format. After one and a half years and 13 nation-wide touring Swedish Tubecon events, we have learned that the creators embrace Tubecon's co-creative initiative, the Tubecon brand has a fit in market, the Tubecon format is scalable and most importantly, it can be adjusted to meet the different languages, cultures and other market-specific needs. In Autumn 2016 Tubecon raised € 500,000 seed funding from Finnish media fund IPR.VC to scale up and develop the international business. In February 2017 Tubecon Spain was organised in Madrid with local top-tier partners creating a significant media impact in the Spanish Market. The event hosted 4,000 visitors, please find a short recap video here. So far Tubecon has been organised in a convention or touring event format altogether 17 times in 3 different countries engaging 750 creators and over 60,000 visitors. 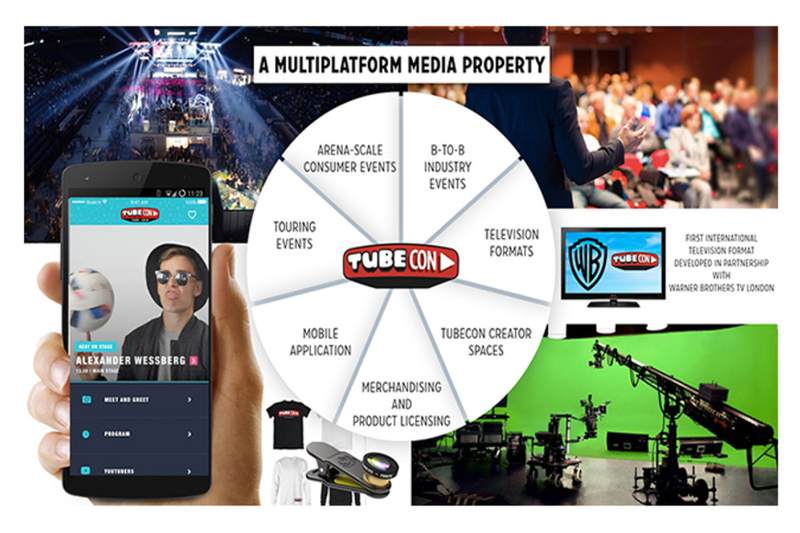 Our vision is to grow Tubecon into a pan-European event network and to develop it into an international multiplatform Intellectual Property that expands through licensing. Entering new markets with either Tubecon events or another offering creates a local community and a starting point to forming local business partnerships. The presence (and existing communities and business partners) in new markets enable future revenues from licensing, sponsorship, new event formats and non-event based offerings. Tubecon transforms online fandom into physical events. 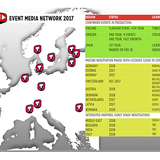 The arena-sized Tubecon events are co-created together with approximately 200 local online video creators followed by hundreds of thousands of fans online. 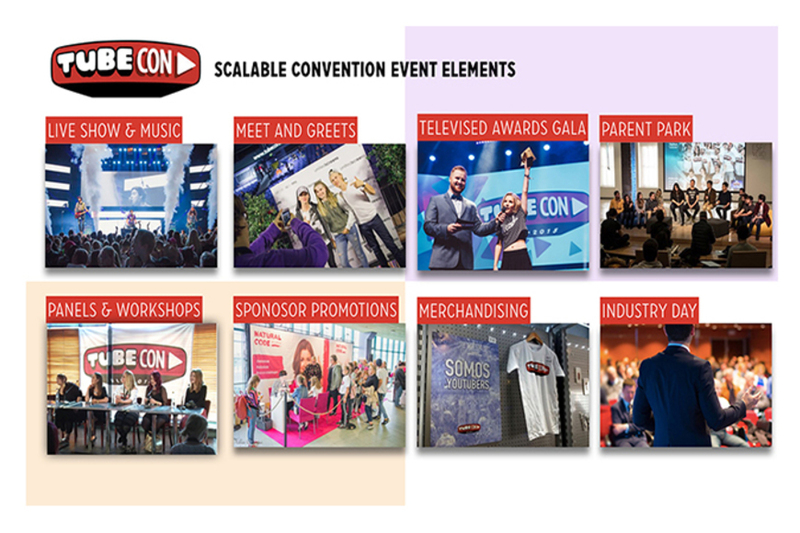 Tubecon events are hosting multiple stages, gaming area, meet&greets, panel discussions, workshops and live streamed / broadcasted community awards gala shows. 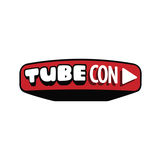 Tubecon events are licensed by local organisers with intention to create a long-term partnership with Tubecon. 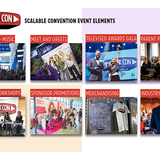 The licensee pays Tubecon a minimum guarantee while Tubecon stays as a minor stakeholder in the event revenue streams, namely sponsor sales, ticket sales and merchandising. 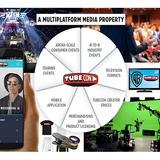 While the local licensee is supervising the local sponsor sales, Tubecon manages the global sponsor relations utilising its growing global event media network. 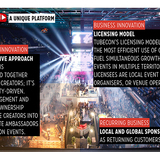 Tubecon provides the local event licensee an Event Manual - a battle-hardened, constantly updating 60+ pages guide explaining how to create a succesful Tubecon. Our Community Development Support supervises the local community building work and the co-creation of the events together with the local creators. Tubecon's core team provides Production Supervision supporting the the local producers and sales team by sharing the best practices in technical production, media relations and brand activations. In addition to convention events, Tubecon platform gathers the industry professionals to visionary BtoB events. Tubecon Industry Day Helsinki – now organised for the fourth time – gathers industry leaders and professionals from media, brands and creative agencies to create new business and be inspired by the international keynoters. Tubecon is currently developing a new community-driven gaming event concept adressed to the mainstream and mobile gaming audience. We are also in the process to partnering up to produce fashion and beauty themed events. Creating a local Tubecon convention event creates an enthusiastic and committed local community of future media professionals hungry to do more under the Tubecon brand. Tubecon is currently building a local Tubecon Creator Space studio in collaboration with Helsinki City Hall with the intention to create a creative studio hub leveraging the community work into year-round content production. The Instagram accounts of Tubecon Finland and Tubecon Sweden have 150,000 followers combined. Tubecon is currently doing finishing touches on its own mobile application. The app is targeted in the first phase to the event audiences. It will be further developed into a digital mobile platform connecting the Tubecon stars, fans and brands. The current Tubecon themed product range contains t-shirts, hoodies, bags, pens, posters etc. The products are popular sales items in the events. Tubecon is currently developing several new licensed consumer goods. As the first product, Tubecon launched a kit of Tubecon-branded mobile phone lenses in collaboration with Black Eye Lenses offered by Finnish retailer Verkkokauppa.com. Tubecon has created its first multi-platform video series format together with a major global Television studio. The concept will be announced in Tubecon Industry Day Helsinki on August 11th. What's the upside for brands collaborating with Tubecon? A new and unique, interactive marketing platform connecting arena-scale live events, data-driven digital channels and television audiences. A passion-driven media platform that offers direct value to younger audiences through engagement across platforms. Tailor-made influencer marketing solutions that are easy to deploy and are scalable. Reliable metrics and targeting, highlighting a route to ROI. A media platform that addresses the whole consumer purchase funnel. During our journey, we have seen several similar events become unsuccessful or cancelled due to a lack of needed expertise. There's a selection of successful local and touring YouTuber events which Tubecon is following as benchmarks. The audiences of the annual online video events such as VidCon (Anaheim, US), Summer In the City (London, UK) and VideoCity (Paris, FRA) have grown in same rapid speed as Tubecon Helsinki reaching 20,000+ visitors. The growth and success of these and other local events highlights the growth and potential of the emerging global online video event market. 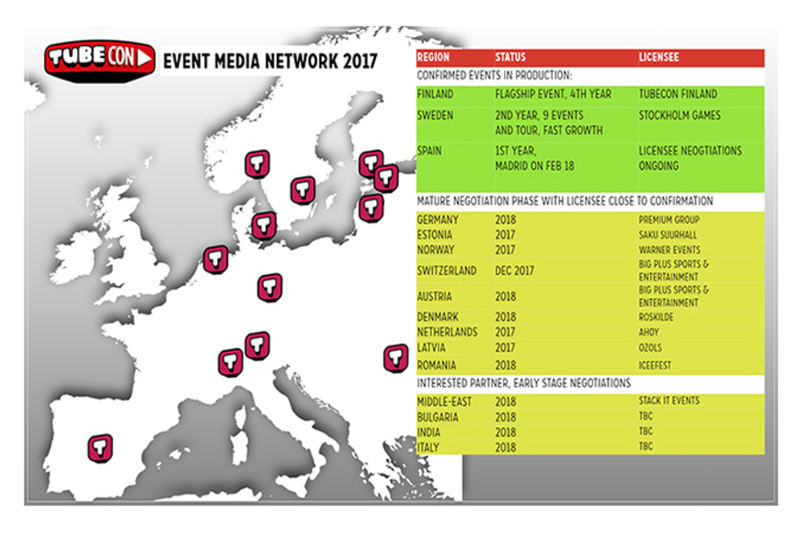 Yet in this space, community-driven Tubecon remains the only player with intention to create a pan-European event network through a licensing model. 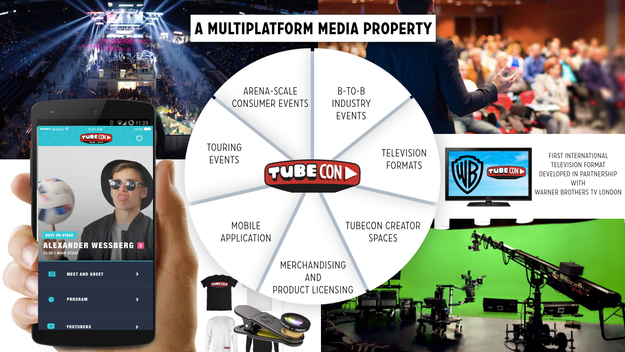 Also, Tubecon's brand expansion to a multi-platform media property is a unique strategy driver. 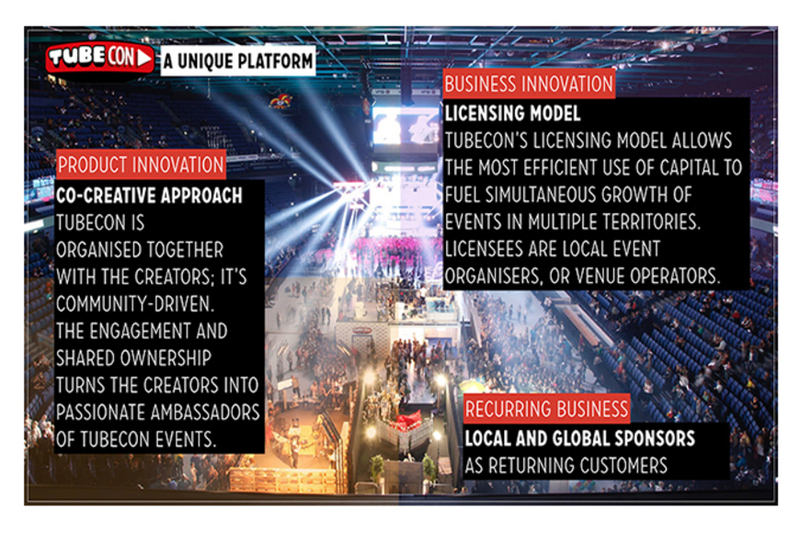 We are following our vision and building Tubecon into an EMEA-level multi-platform chain of events and a media brand. While being fully aware of the developing market, our team is driven by passion and big vision, not by exit speculations. Tubecon is already collaborating with majors in the event industry, media, telcos and online platforms. We have identified several global partner candidates and A-round investors showing interest in the Tubecon IP. We are keeping in touch on a regular base. 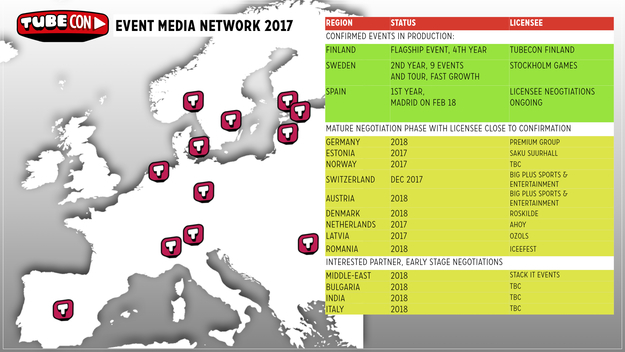 In addition to the ongoing activities in the Nordics and Spain, Tubecon is currently in a mature negotiation phase with several licensees opening new markets. The team is currently focusing on opening the Baltic region and German-speaking market introducing the first events in Autumn 2017. The latest updates can be found on our home page www.tubecon.org and in our LinkedIn. Tubecon is run by a core team of award-winning senior media and marketing professionals. The current core team supervises the international business development and serves the local Tubecon licensees. Each event licensee employs a local production team to run their events. 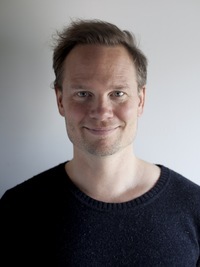 Risto Kuulasmaa leads Tubecon's new business development and oversees the Tubecon multi-platform brand extension. Before Tubecon Risto worked as a television network executive, production company CEO and in various consulting and advisory positions. He is a board member of UNICEF Finland. 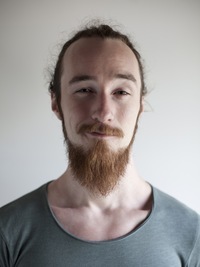 Jaakko Kievari is in charge of sales and production and the back office. 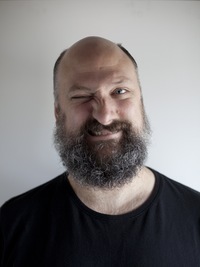 Jaakko has a prolific background in CEO and executive positions in digital creative industries. Mark Newton is representing Tubecon as the lead negotiator towards licensees and partners. 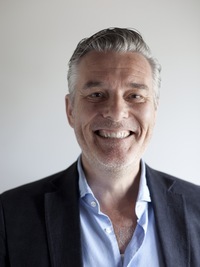 Before Tubecon, Mark served 16 years as the Executive Vice President, EMEA at FremantleMedia overseeing the licensing business of television properties such as Idols, The X Factor, Got Talent, Project Runway. 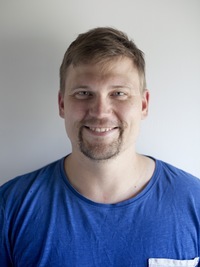 Johan Lundsten has led the Tubecon community development in Sweden and Spain and continues to kickstart and supervise the community work in all new markets. 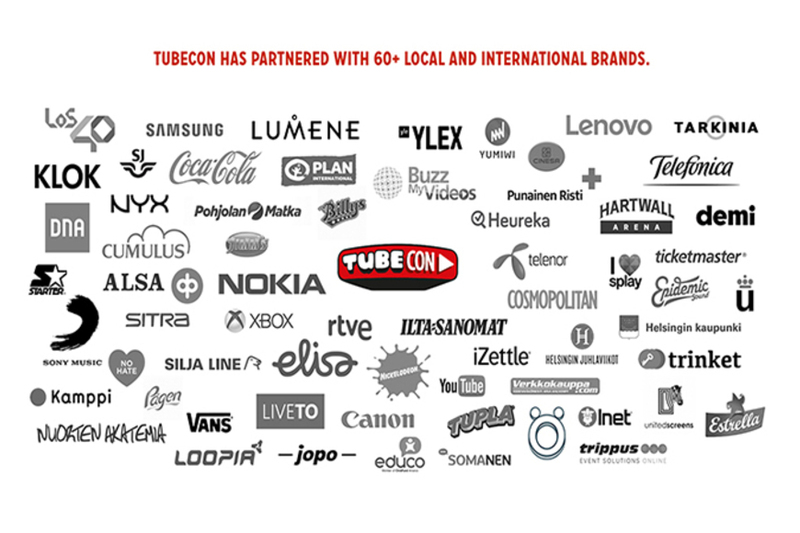 Ossi Lehto has connected over 60 brands to collaborate with Tubecon. In addition to leading the sales in Nordics, Ossi has cultivated a strong hands-on skillset to help the sponsors designing the brand activations before, during and after the events. Berlin-based Eric Conyers is developing the Tubecon event offering and opening new business in German-speaking market. Eric has over 20 years of experience in brand building. He has worked as EMEA level CMO at Podium and Zound Industries and brand consultant for e-sports team FNATIC. 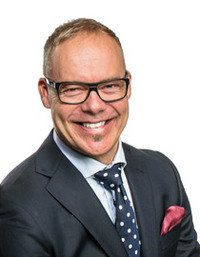 Pauli Aalto-Setälä is the non-executive chairman of the board of Tubecon. 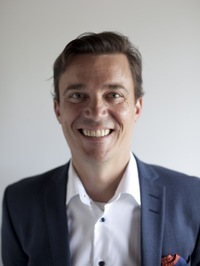 He is the CEO of Aller Media.